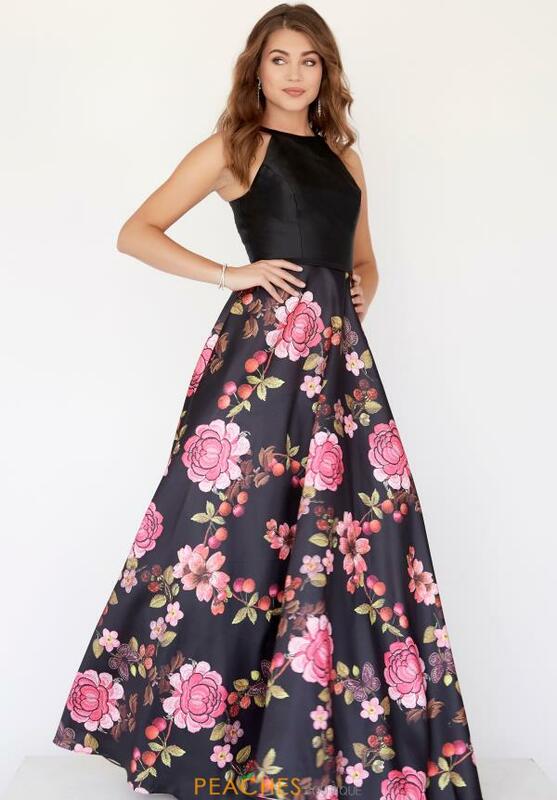 Twirl on the dance floor in this floral Jolene prom dress E80018 at your upcoming special event. This dress showcases a high neckline with no bead work, which will help contrast its bold, fun silhouette that has floral print. To finish off this gown, a full zipper back. Find more floral a-line styles at Peaches Boutique in Chicago.